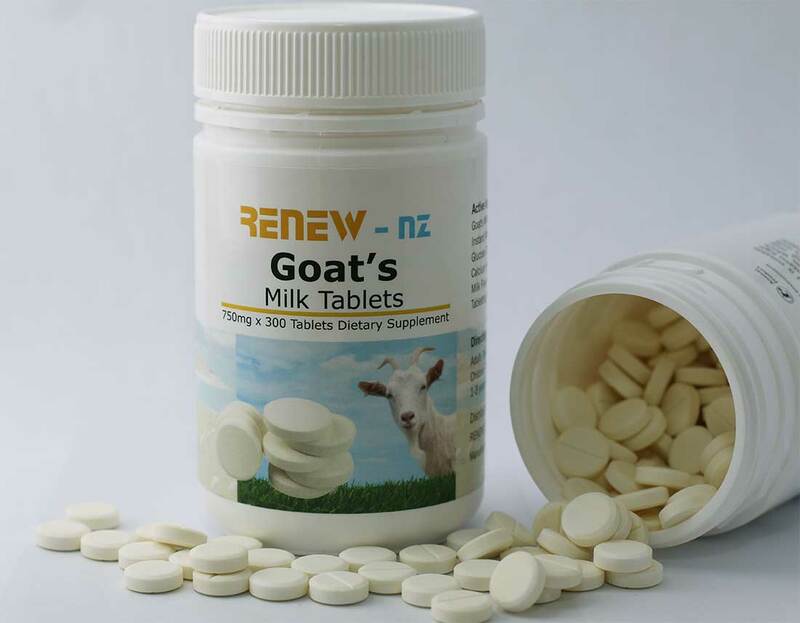 Renew-NZ Goat's Milk is suitable for all age groups. Each tablet contains high quality goat milk powder ans high in calcium to help prevent osteoporosis. Also may stimulate cellular growth and support healthy bone function. Goat milk is a nourishing alternative for those unable to tolerate cow's milk. It is well known that many people cannot consume cow's milk any form but it's also known that many people around the world that consume goat's milk don't have similar negative effects such as gas bloating and digestive problems. Goat's milk is calcium rich and contains twice as much good fatty acid as cow's milk. By having bottles of tablets on hand, can be a convenient healthy snack. Available for bulk purchase in bottles of 180 or 300 tablets.